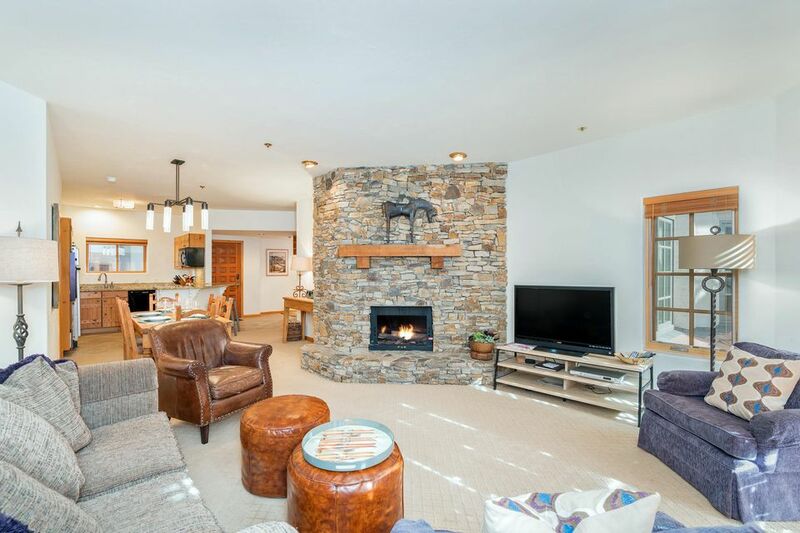 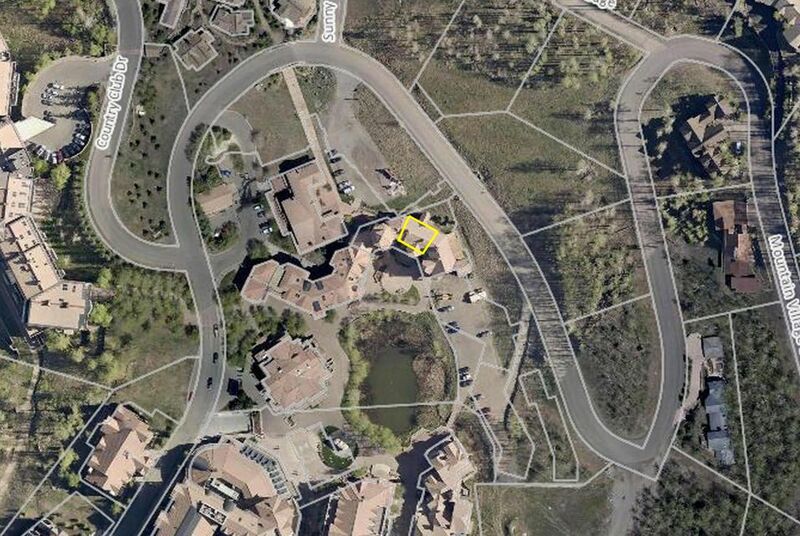 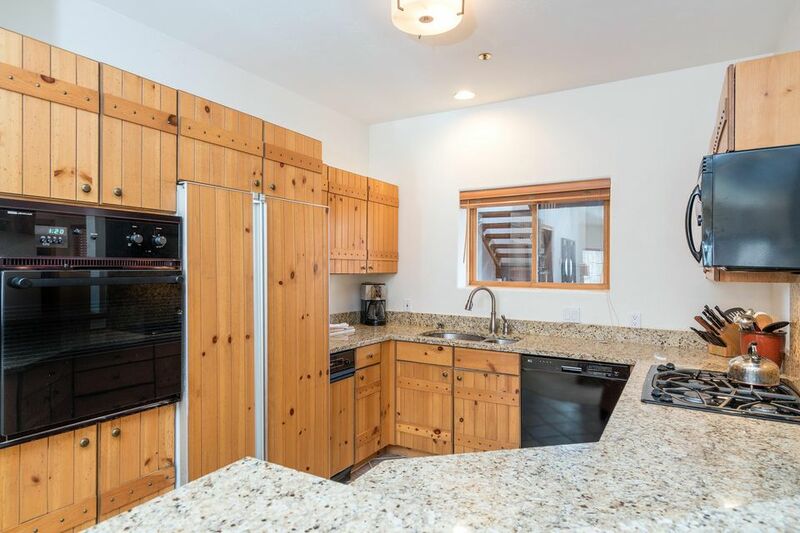 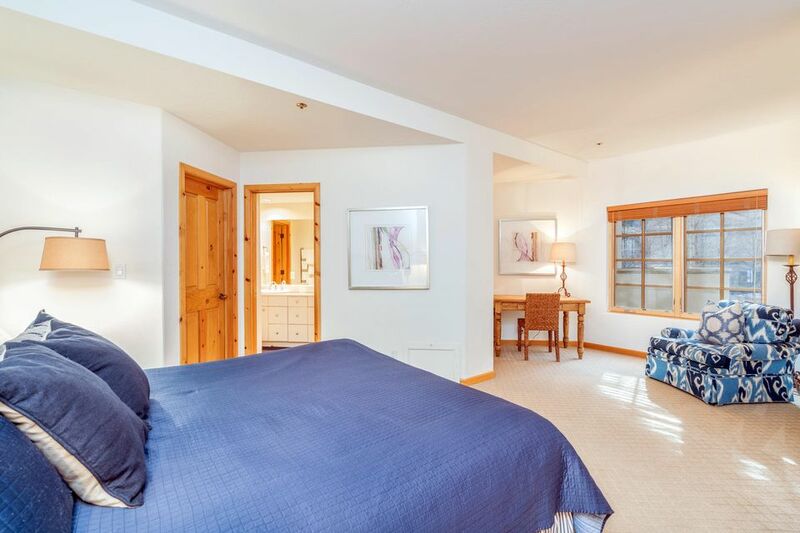 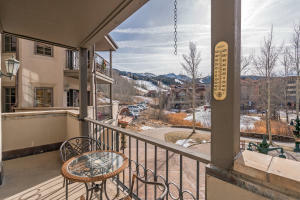 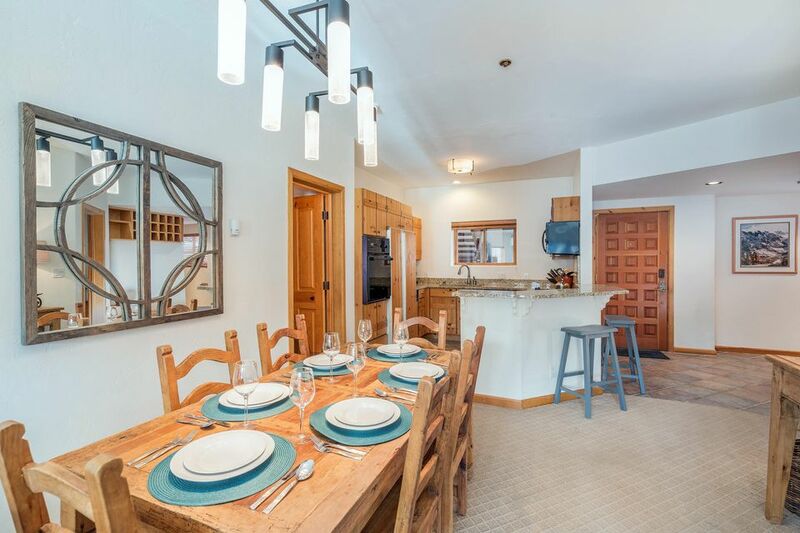 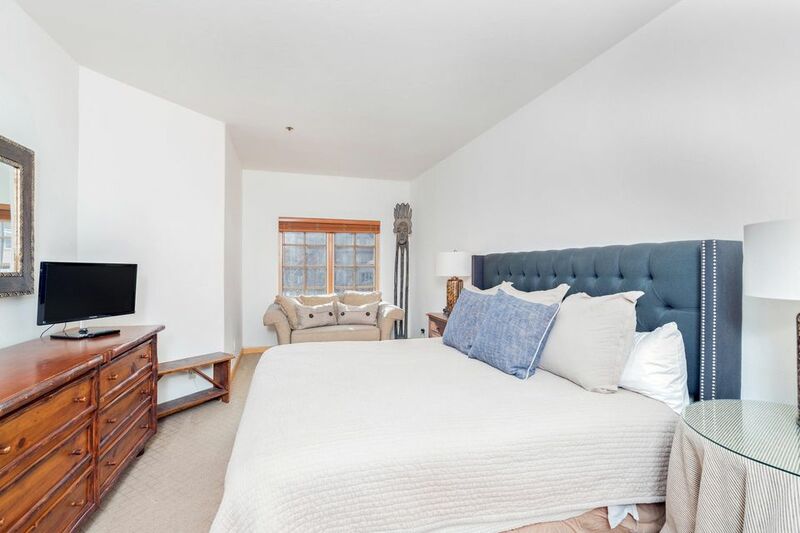 Enjoy single-level living in this three bedroom, three bath condo in the Mountain Village Core. 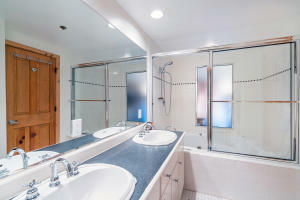 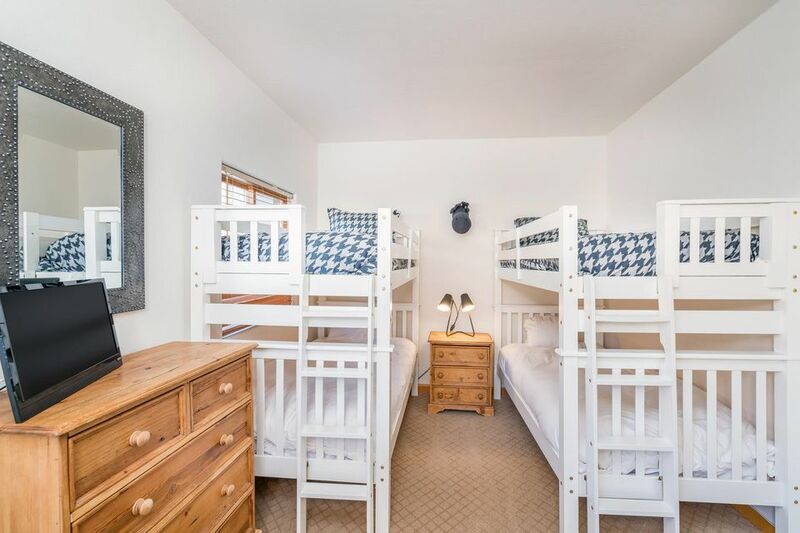 Unit features a master suite, bunk room, steam shower and a large southern facing deck with ski area and skating pond views. 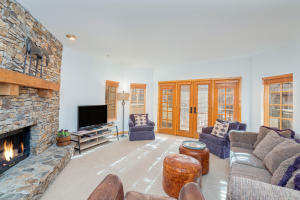 The stone fireplace in the living room provides ambiance for nights at home. 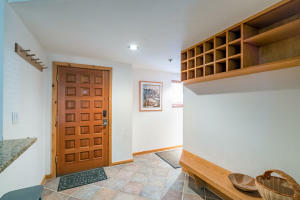 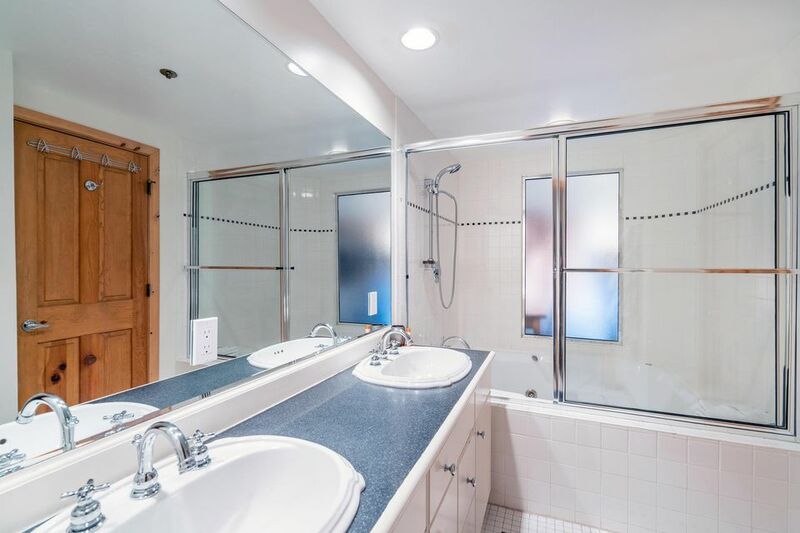 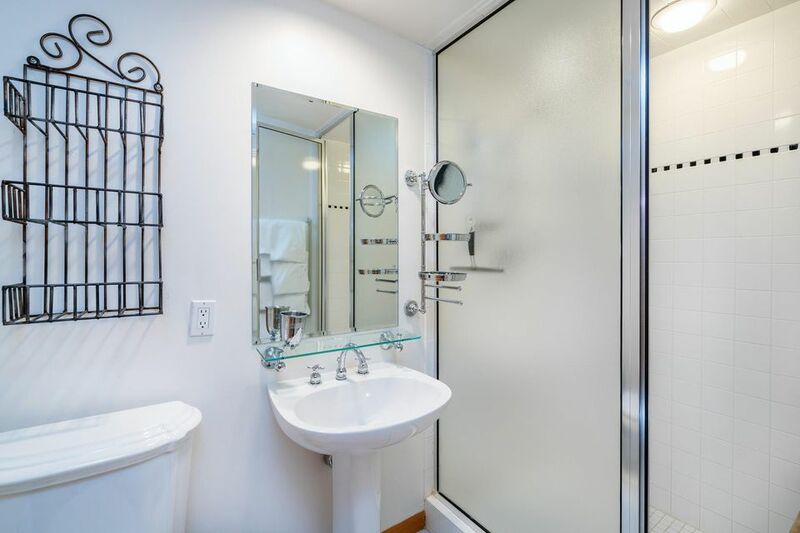 Includes one deeded underground parking place, a deeded storage unit and the use of two ski lockers. 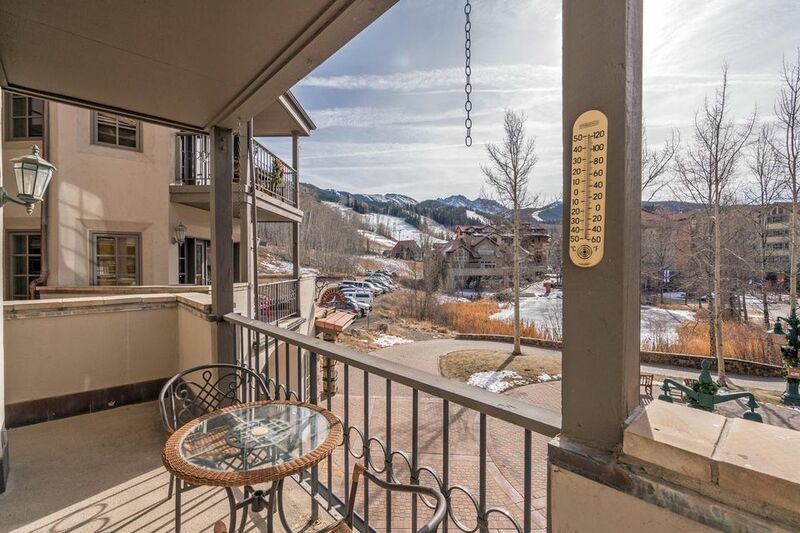 Ideally located within a short walk to numerous restaurants, the Gondola and the base of the ski resort. 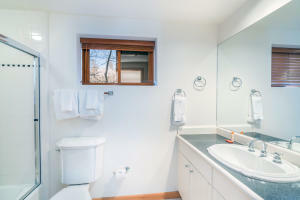 The third bedroom is a lock-off for living and rental flexibility. DirectionsFrom the Gondola walk past the climbing rock and the pond. Unit overlooks the pond. Take elevator to second floor.